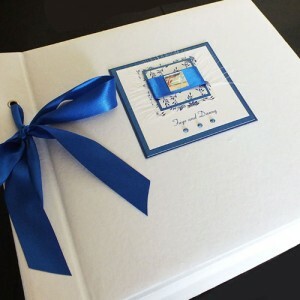 These beautiful wedding photo albums can be made to match any of the wedding invite designs in our gallery. 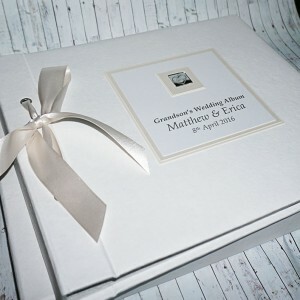 Every design is available in a smooth white or textured white finish and with your own choice of design, colour scheme and ribbon colour. 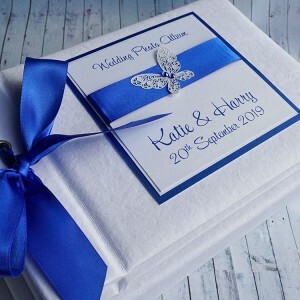 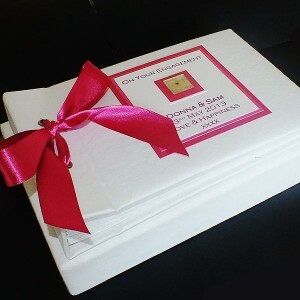 All personalisation with the names of the bride and groom and the wedding date is FREE and an optional extra page with personalised wedding details is available. 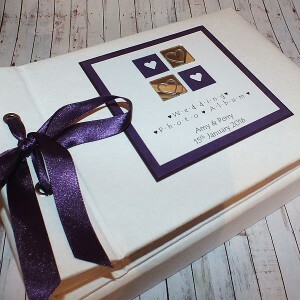 Handmade Wedding Photo Album "Leven" A Perfect Personalised Engagement Gift Personalised phot.. 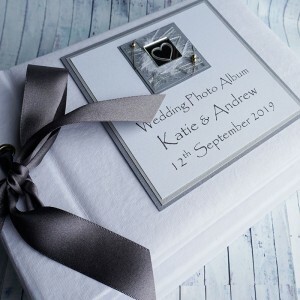 Handmade Wedding Photo Album with a personalised cover "Tay" Personalised photo album to..